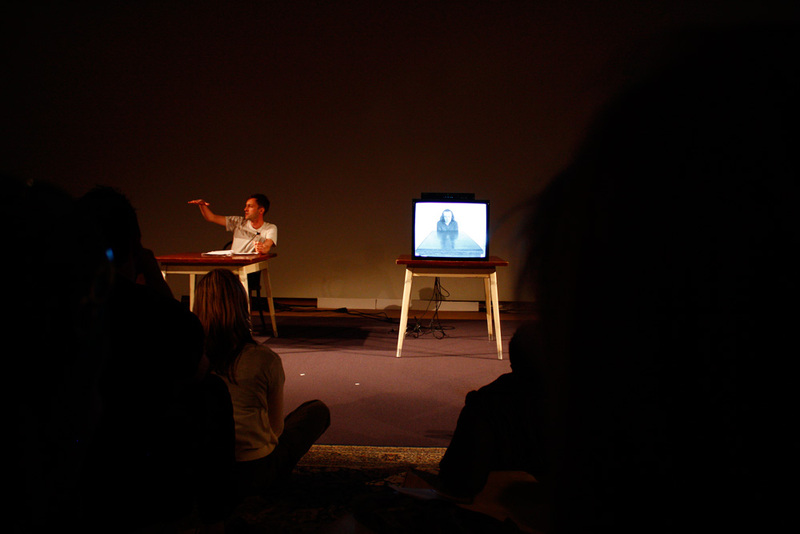 All Whirlwind, Heat, and Flash (Undertone) is a performance with an extract of Vito Acconci’s video Undertone (1972) that has been widely circulated on the internet. In the original video Acconci details a masturbation fantasy while apparently caressing himself under the table. 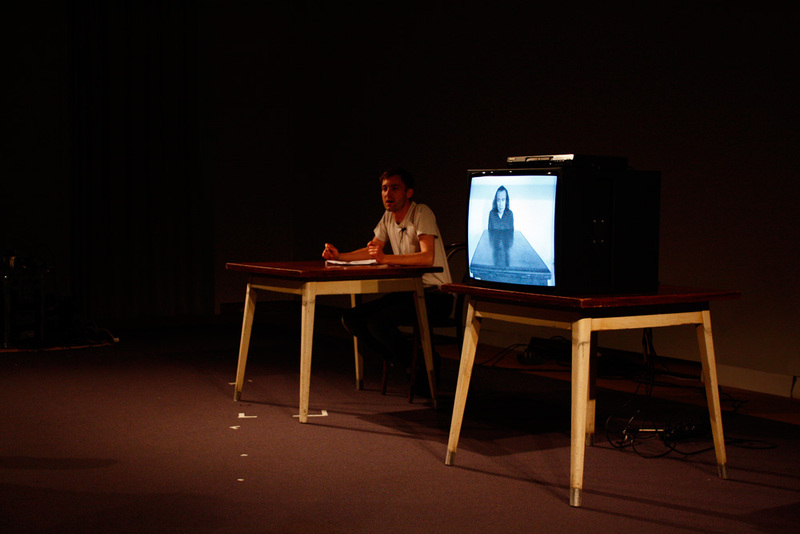 In my performance the sound of Acconci's fantasy is faded out and I deliver a monologue that constructs an alternative narrative, a counterpoint redolent with the clichés of a cinematic love story and replete with car chases and betrayal. I become a vicarious counterpart to Acconci's narcissism, living a fantasy through the structure of his video rather than the vivid sexual act he describes.